The GROW Coaching Model is used very often by internal coaches in the corporate world, or when managers apply coaching techniques with their employees, probably because the GROW model is relatively simple, yet very effective. 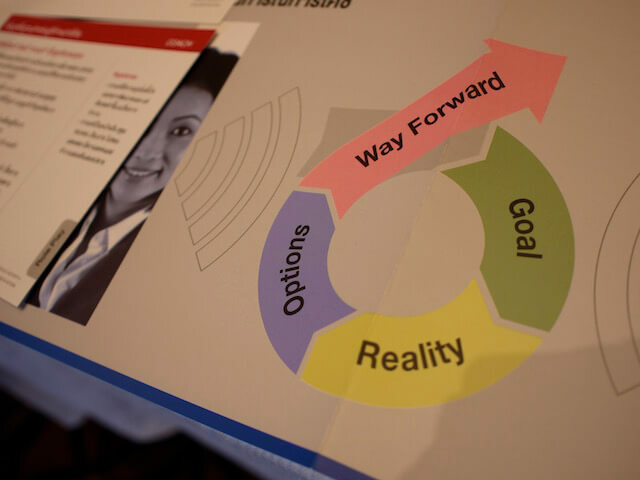 The acronym GROW stands for Goals, Reality, Options, and Way Forward (or sometimes referred to as Will) and represents the different stages in a coaching process. The coaching process starts with the goals — what does the coachee want to achieve? What is the desired outcome from the coaching engagement? What is the current reality, the situation the coachee is in today? What are the options to move from the current situation (reality) to achieve the desired outcome (goal)? Looking at the various options, what is the best way forward? What is to be done, when, by whom? Do you have the will to do it? Thus the GROW Coaching Model provides a solid framework that can also help beginner coaches deliver great coaching results.